Number One for fiendish fun! Horrid Henry takes to the skies in UP, UP AND AWAY! This audiobook is narrated by Miranda Richardson. 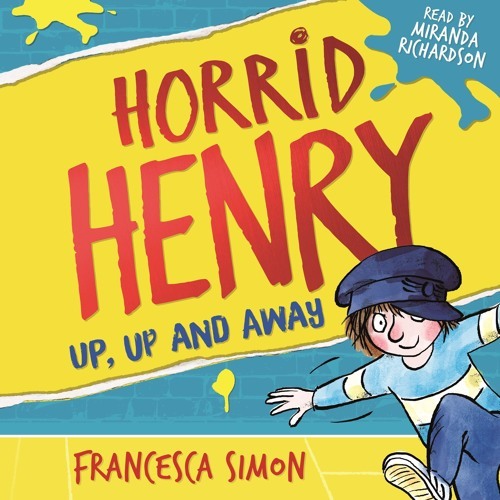 Horrid Henry is back and naughtier than ever in this brand-new book from the internationally bestselling author Francesca Simon. Contains four brand-new stories, featuring Horrid Henry wreaking havoc on an airplane, being forced to write an essay about the Tudors, sabotaging the school play and sneaking on to a forbidden rollercoaster.